One of the most significant breakthroughs in cardiac CT imaging was being able to acquire isotropic resolution datasets with sufficient temporal resolution to take “snapshots” of this dynamic, ever-moving organ. Isotropic three-dimensional (3D) datasets acquired with either prospective triggering or retrospective gating, and further complicated by the dimension of time within the cardiac cycle, effectively yielding four-dimensional (4D) datasets, allow for a variety of post-processing techniques useful for advanced visualization of cardiovascular anatomy and pathology. 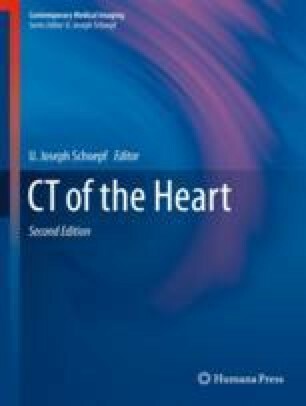 Some of these techniques are fancy, colorful, and eye-pleasing or just serve as an aid to student or patient education, but others have become a crucial part of our clinical routine when evaluating cardiac CT images and discussing findings with non-radiology physicians.